The Archaeological Institute of America is pleased to present its 2013 Award for Best Practices in Site Preservation to Cristina Vidal Lorenzo, professor of art history at the University of Valencia and codirector of the La Blanca Project, and Gaspar Mũnoz Cosme, professor of architecture at the Polytechnic University of Valencia and codirector of the La Blanca Project, for their exemplary work at the ancient Maya site of La Blanca in Guatemala. Vidal and Muñoz take a holistic approach to site preservation by combining scientific research and conservation of cultural heritage with economic development and educational opportunities for local communities. The conservation program they have developed is integrated at all stages of research, ensuring the protection and stabilization of archaeological structures and resources before, during, and after excavation. In addition to engaging in archaeological conservation efforts, Vidal and Muñoz work to maintain the integrity of the natural landscape surrounding La Blanca by preventing deforestation and conducting research on the paleoenvironment. Additionally, Vidal and Muñoz demonstrate a remarkable dedication to local communities by including them in the research, excavations, and development at La Blanca. The project’s outreach programs provide in situ conservation training, educational workshops to promote natural and cultural heritage, and a tour-guide training course to help secure the long-term preservation of this archaeological site while also improving the area’s economic opportunities. An interpretive center with signage informs visitors about this important site and the project’s conservation efforts. 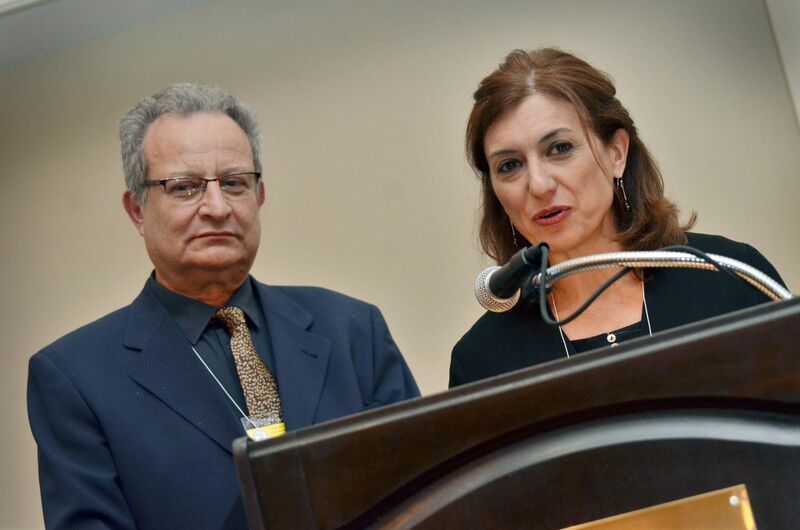 The Archaeological Institute of America honors Cristina Vidal Lorenzo and Gaspar Mũnoz Cosme with the 2013 Award for Best Practices in Site Preservation and hopes Vidal and Mũnoz’s excellent initiatives will inspire other professionals in the field.